Dr Wille’s view gives a good hint as to why Vienna has been taking the top ranks in quality of life studies. The city offers so much art, culture, gastronomy and all kinds of activities for its inhabitants, that it has a more or less rented spot at the summits of these lists. In front of Albertina, the museum I’m often found in, lays FREYWILLE’s prominent boutique. 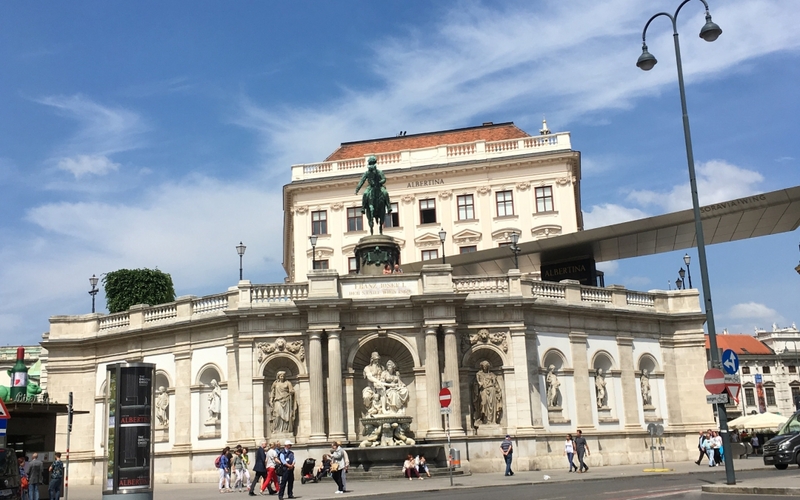 On the occasion of the six-day long Wiener Schmucktage, Vienna’s emblematic manufacture welcomed the pilgrims of the jewellery show for a discussion about what it became famous for, enamelling. 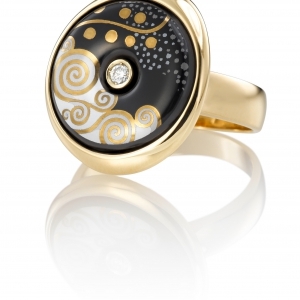 FREYWILLE was established by Michaela Frey in 1951, who first made fire objets d’art before designing jewellery. Dr Friedrich Wille joined the company in 1970 as a chartered accountant and he soon developed the ambition to get Ms Frey’s art known abroad too. Taking their partnership to the next level, the company got rebranded to FREYWILLE. 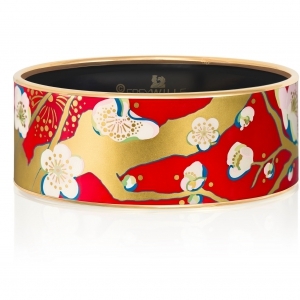 It started to prosper in Europe and boutiques opened in London and Paris. In 1980, Michaela Frey passed away and Dr Wille took over the company. 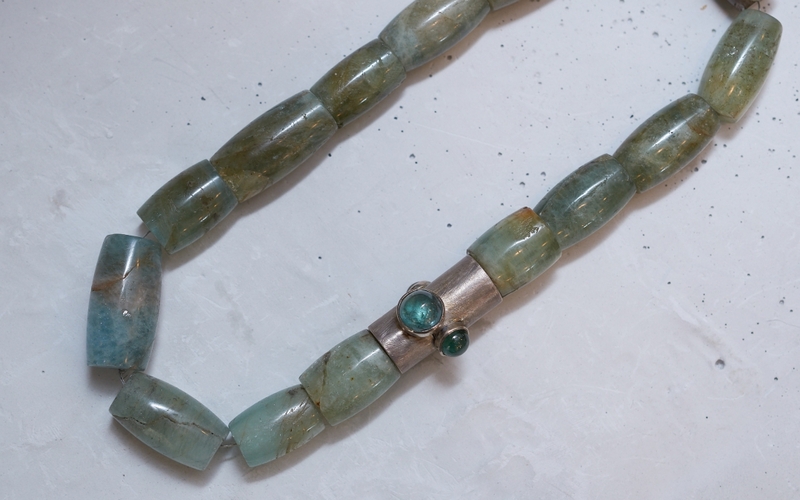 He appointed Simone Grünberger-Wille to fill the artistic space with a new jewellery collection. She built a design department by attracting artists from the University of Applied Arts and came out with completely new design concepts, such as the ‘Egypte’, the ‘Avant-Garde’ and Greek-Roman collections. In the ‘90s FREYWILLE presented sets paying homage to various great influencing artists of the 19-20th centuries – a concept they have been following ever since. 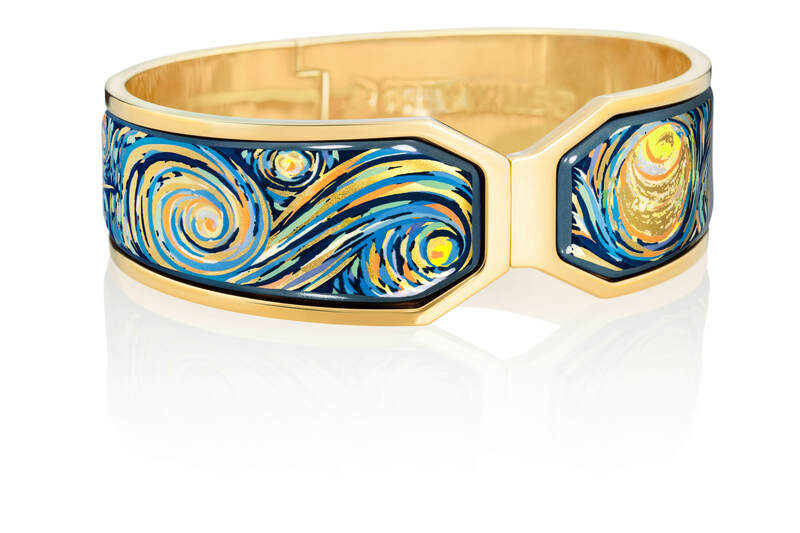 Motifs inspired by Claude Monet, Gustav Klimt, Hundertwasser, Alphonse Mucha and Vincent van Gogh appear on enamel in vivid colours. 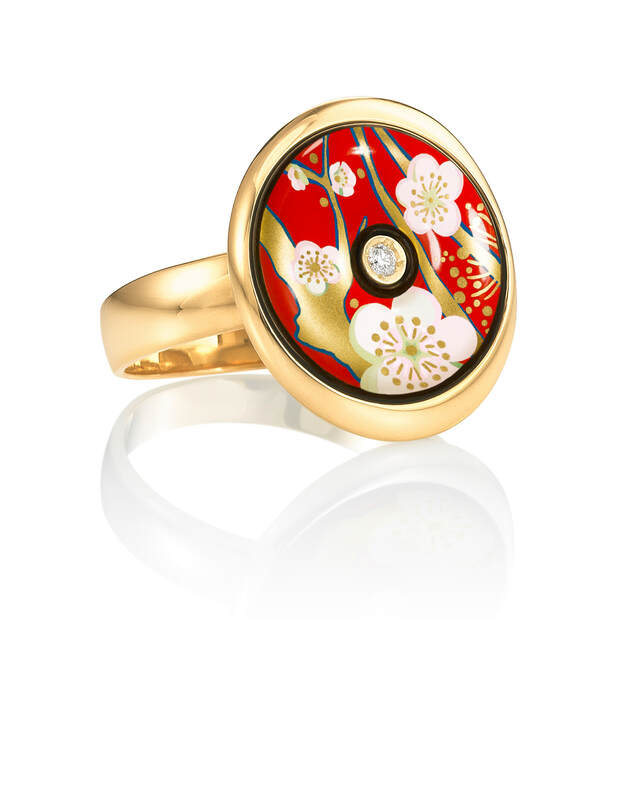 Realising bold design ideas on enamel requires the mastering of firing techniques and many try and fail. Colours are applied in layers and put in the kiln in a well-defined sequence. Firing temperatures for the different colour pigments must be carefully chosen as they can fall apart under improper conditions. 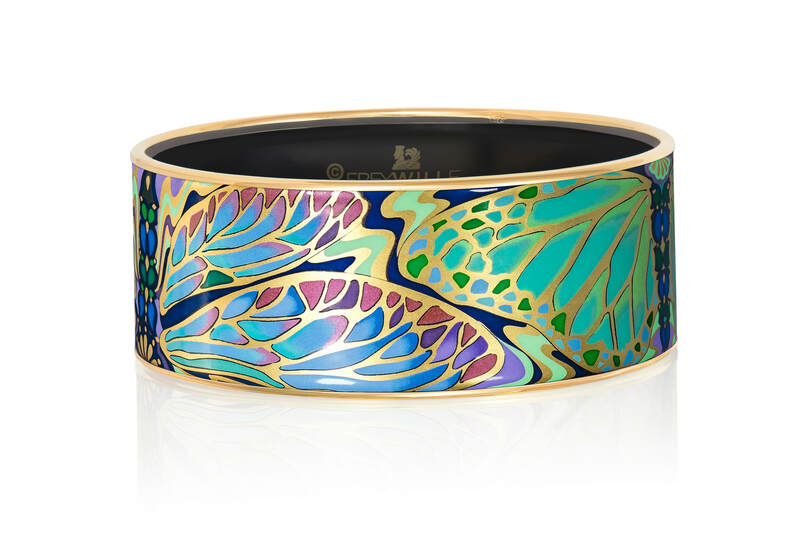 FREYWILLE’s know-how extends to creating effects unusual on enamel, such as colour gradients and using an iridescent paint, the one you can observe on the Mucha collection. 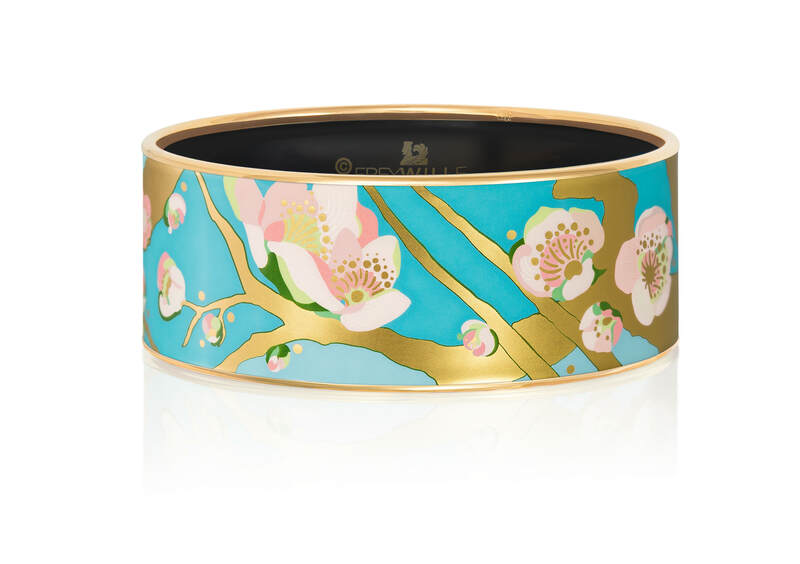 The colours of the enamel determine the colour of the metal used. 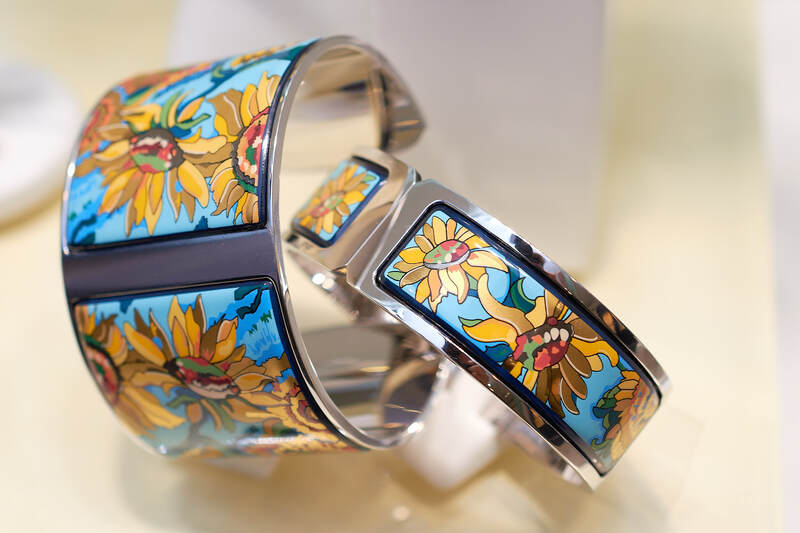 The warmer enamel artworks will be given either solid 18k yellow gold or gold plated steel, colder images will be encased in white gold or rhodium-palladium plated steel. FREYWILLE looks at designs from a more complex perspective creating entire sets of accessories for each idea. 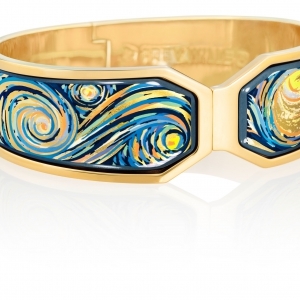 For example, Vincent van Gogh’s motifs appear on necklaces, rings, earrings, bracelets, watches and even on silk scarfs. In 2014, the company launched its own fragrances, too. 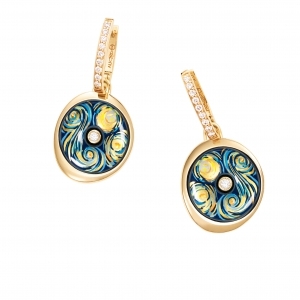 The manufacture presented pieces inspired by works of Vincent van Gogh, Friedensreich Hundertwasser and Gustav Klimt. 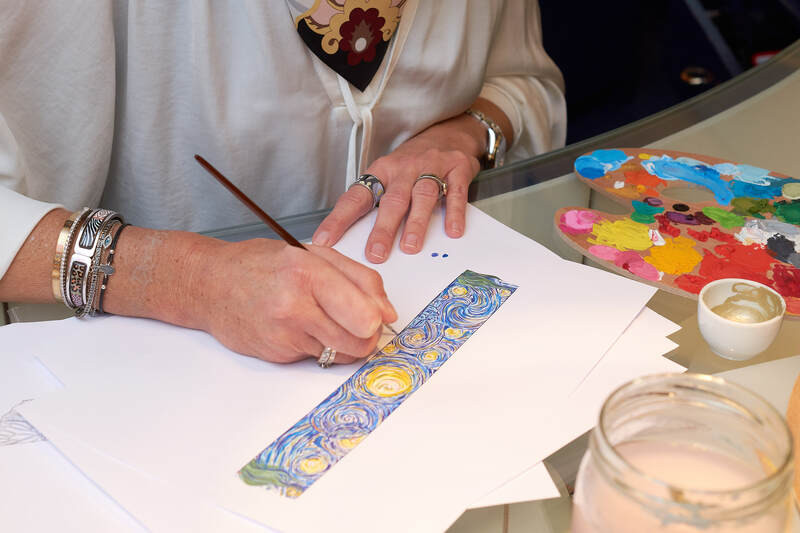 The works of the Post-Impressionist van Gogh are characterised by bold colours, and dramatic, impulsive and highly expressive brushwork but he also adopted elements of Pointillism and took inspiration from Divisionism and Japanese woodcuts. He described The Courtesan and the Flowering Plum Orchard (both from 1887) as Japonaiserie, expressing the influence of Japanese art on him. 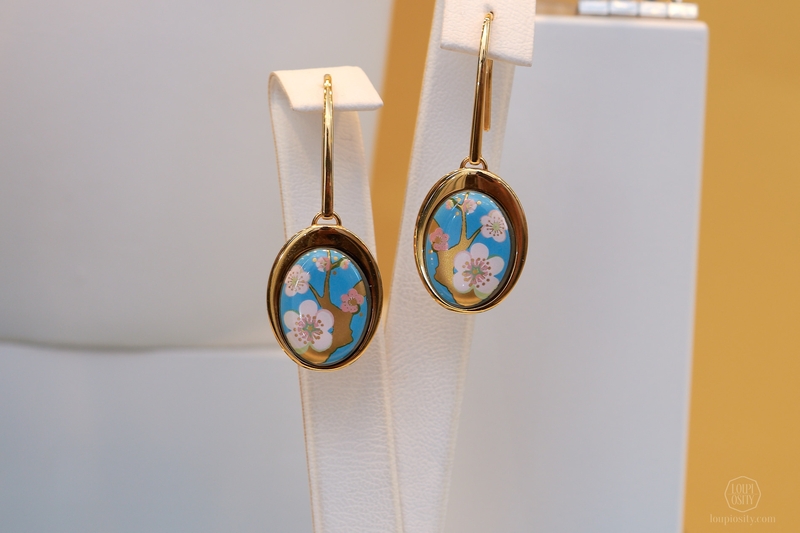 The L’Amandier Turquoise & Rouge Éclat jewels perfectly mirror the calm mood of the Japanese-esque ‘Almond Blossom’ paintings (made in 1888 and 1890 in Arles and Saint-Rémy, France). 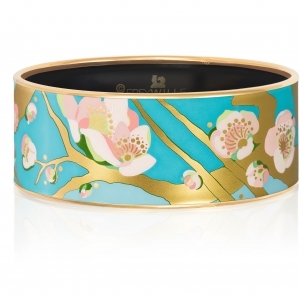 These pieces are available in turquoise with soft pink flowers and the poppy red model with white and blue flowers. Both versions feature golden tree branches. ‘This morning I saw the countryside from my window a long time before sunrise, with nothing but the morning star, which looked very big,’ wrote van Gogh to his brother Theo, describing his inspiration for one of his best-known paintings, The Starry Night (source). Interestingly, this was the only night scene he painted in the row of 21 variations made from the same viewpoint. 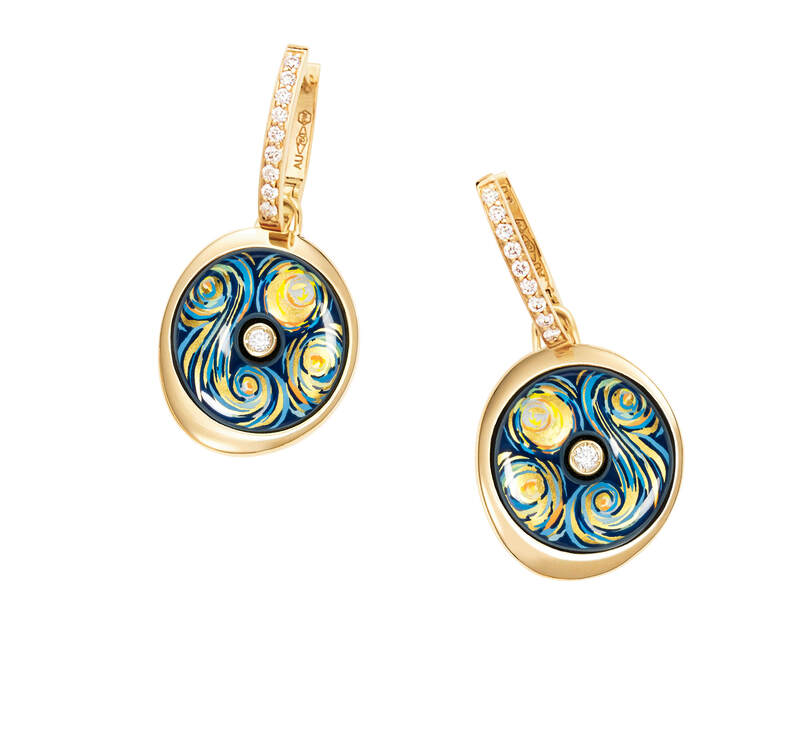 The artisans of FREYWILLE interpreted the swirls of the depicted sky into enamel jewels. 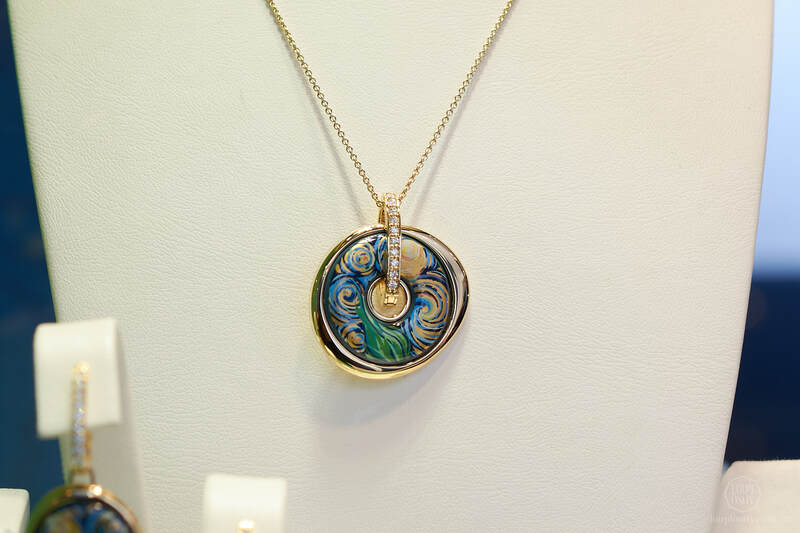 The different blue, green and yellow hues are in great harmony with the gold details. Klimt was a symbolist painter and one of the most prominent members of the Vienna Secession movement and among the most recognisable artists. 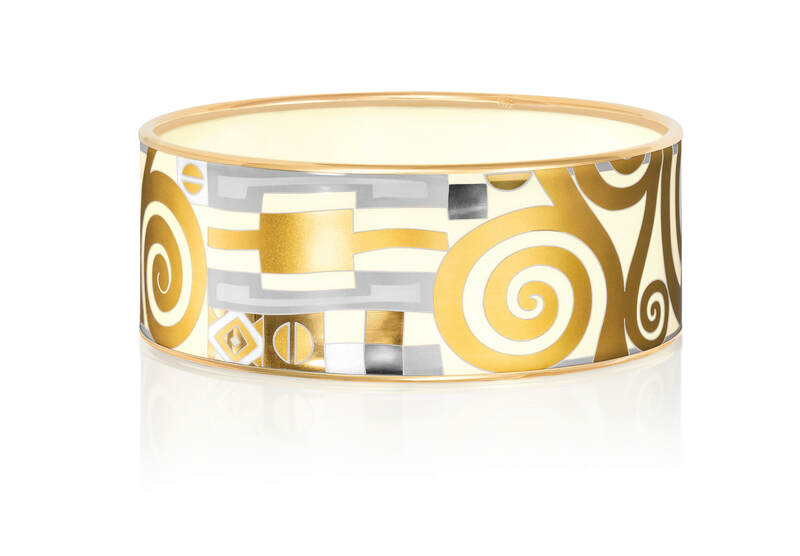 The limited edition Klimt jewellery line takes motifs from his Stoclet Frieze, a series of three mosaics which he created for a commission for the Palais Stoclet in Brussels. 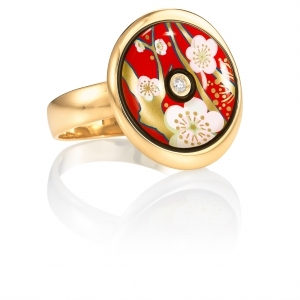 The colours are ivory and gold, the whole piece is seen as part of Klimt’s well known Golden Period. 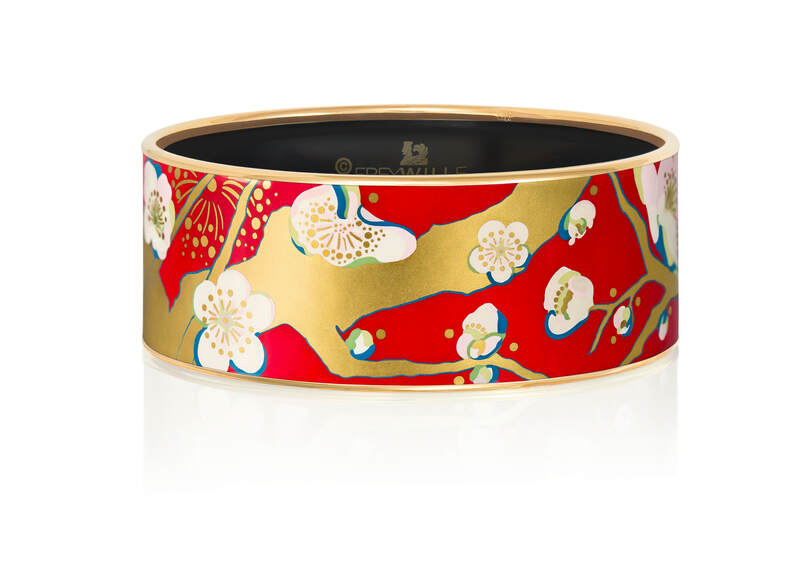 The line consists of a bangle, two different pendants, a manchette and earrings. They come with a numbered certificate. The collection is limited to 999 pieces. The Austrian artist and architect Friedensreich Hundertwasser was known for his vibrant colours and very special buildings. He was ‘a visionary and responsible creator, who mobilised the power of his art in order to spread his message for a life in harmony with nature and the individual creativity’ – so the Hundertwasser Foundation described him. 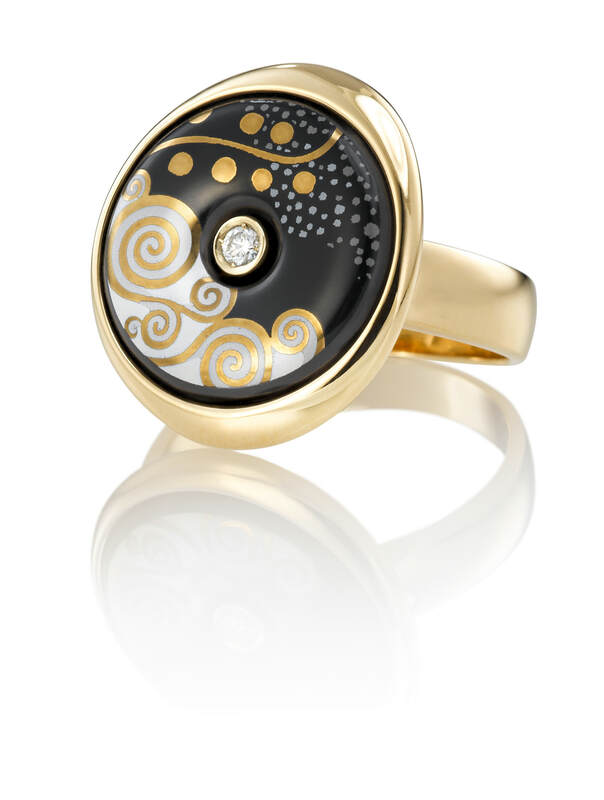 The Silent Flowers fire enamel design captures Hundertwasser’s theme in its full beauty and opulence on a bracelet and a pendant. The Wiener Schmucktage was an excellent occasion to also visit smaller workshops. Check out our article with jewellery designer Michaela Arl de Lima from Neubau. Wiener Schmucktage 2018 For the first time we participated at the Wiener Schmucktage (Jewellery Days of Vienna) - follow us for some exciting discoveries. 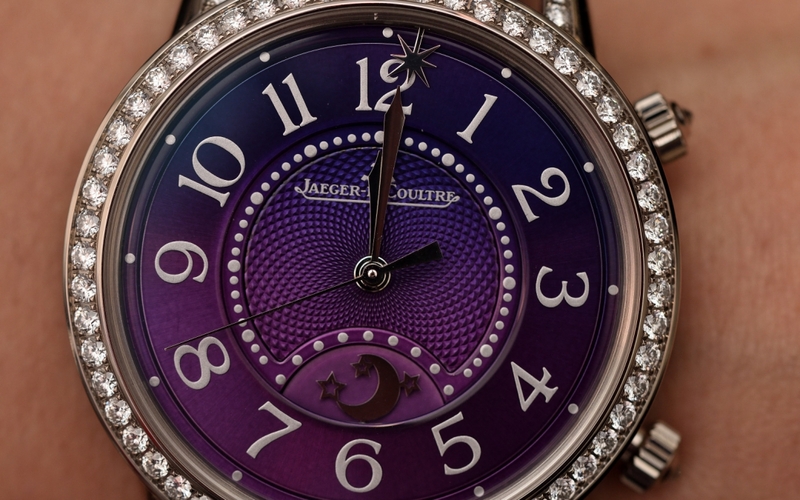 Viennese Rendez-vous On the occasion of the Jaeger-LeCoultre novelties' arrival into the Hübner boutique in Vienna, we share with you some tips in the Imperial City.